This Mother’s Day, you can honor a special woman in your life when you provide the gift of life to mothers and babies in Zambia. A donation of $10 purchases two Clean Delivery Kits (CDKs) that will be given to expectant mothers during Zambia Medical Mission and throughout the year at the Namwianga Rural Health Center. The mothers who receive these kits do not have access to a hospital or clinic for delivery. 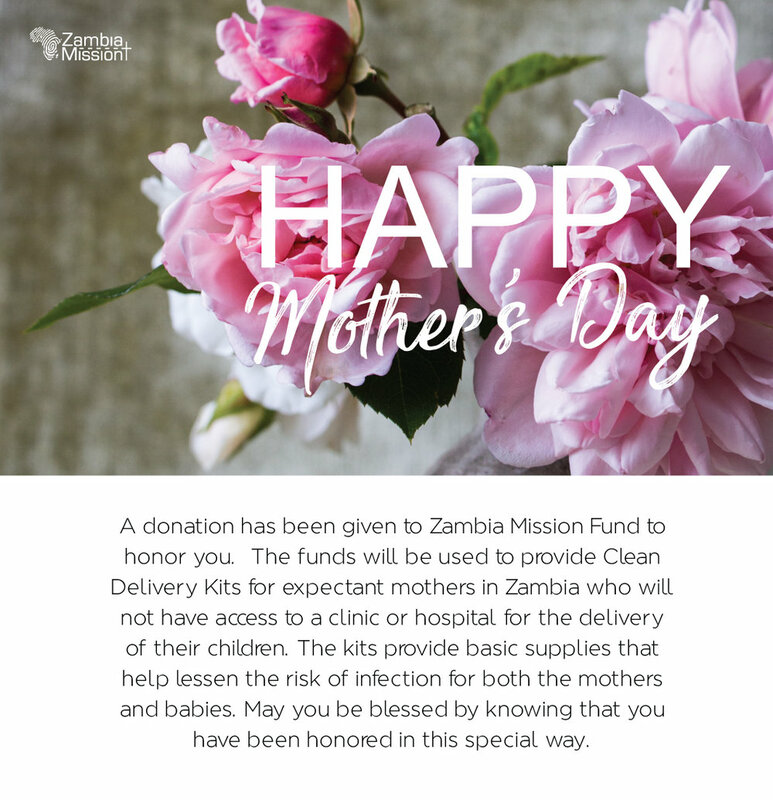 When you make your donation, Zambia Mission Fund will send either a traditional Mother’s Day card or eFlowers to the special woman or women in your life you choose to honor. 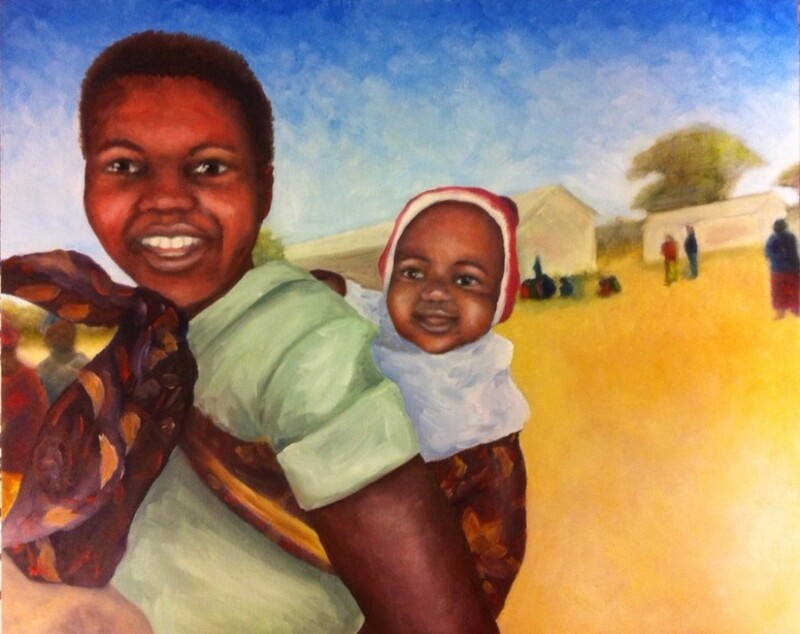 The traditional card is taken from a painting by former Zambia Medical Mission team member Alexis Light. Infant sleeper or onesie, Candle, Matches and Two pairs disposable gloves. This year our goal is 1,000 kits so that no mom-to-be will go back to her village without having these essentials for her delivery. If you have further questions, please contact Star Ferguson (star.ferguson@suddenlink.net or phone: 325-668-0687).